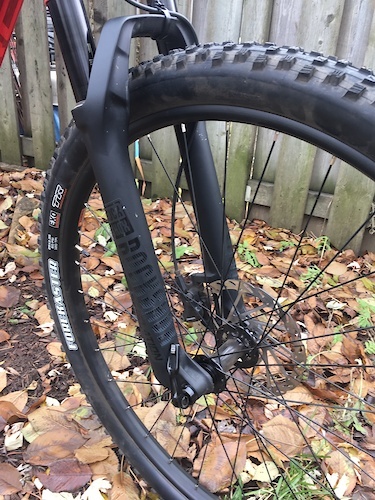 2018 Norco Optic C 3. Carbon Full Susp - Rockshox Revelation RC Solo Air 120mm - 29er - Fox Performance Float DPS, EVO - GX Eagle drivetrain. Low kms. Excellent condition. Sold w/out pedals and w/b cage. 2017 Norco Optic 9.2 Carbon. Size Large. 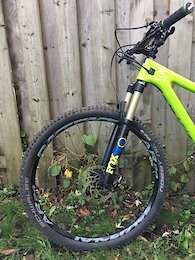 Being sold with stock parts/components, incl. 1by front chainring option. Set up Tubeless. Ridden one season. Low kms. Excellent condition and well-maintained. Sold without pedals or WB cage.